Don’t let NHL.com’s recent poll declaring Gordie Howe as the most recognized #9 in all of hockey fool you, as even the Great Mr. Hockey himself wouldn‘t likely let you get away with that statement.. Gordie Howe, perhaps the most incomparable legend in all of NHL lore, is an unmistakable candidate for greatest player to wear no.9, yet he would never have become the player he was were it not for another great, and perhaps even more inspiring legendary #9, Maurice “the Rocket“ Richard. The ’Rocket’, as he was known to the Habs faithful during his heyday, was one of the fieriest, most complete and competitive hockey players the game of hockey has ever seen and is responsible for more than his fair share of legendary performances, yet recognition in an online poll matters not in regards to the man with most piercing eyes the sport had ever seen, it was what Mr. Richard accomplished on the fabled ice of the Montreal Forum which forever etched his presence into the fibre of not only the old Forum, but the city, the team and the people of Quebec. Although his many accomplishments are certainly worth noting, his role as captain of the Canadiens, his 8 Stanley Cups, his 14 All-Star nominations(8 First-Team, 6 Second Team), retiring as the NHL’s All-Time Leading Scorer and even his at-times controversial writing, it may very well be the “Richard Riots” which forever burned the Rocket’s ghost into the soul of the Montreal Canadiens. On March 13th, 1955, the Montreal Canadiens faced-off with their arch-rivals, the Boston Bruins at the Boston Garden. As a matter of reference, there was never any bad blood lost between these two teams back in those days, that is to say, players never wasted an opportunity to make an opponent pay, especially when the referee had his head turned the other way. As was customary with these battles between the Bruins and Canadiens, things happened to get out of hand quite often. Ironically enough, one of the reasons it happened to always get to a boiling point was because of the Rocket’s super-heated temper. Despite being known as ‘the Rocket’ for the way he flew up and down the ice, Maurice was also known for his mean streak, one he could let fly without a moments notice. As the contest between the Boston and Montreal progressed that evening, a scuffle between Richard and Bruins’ defenseman, Hal Laycoe, turned into one of the most memorable scenes in NHL history. According to a mixture of reports from various historical sources, Laycoe initiated the battle, cutting Richard(for what would turn out to be 5 stitches) with a stick to the head. Enraged by the attempt to injure him, the Rocket pursued Laycoe, eventually catching up to the Bruins defender with his own stick, catching Laycoe on the shoulder and head. Needless to say, once the Rocket broke free, it was Thompson’s turn to receive some free shots as Richard promptly proceeded to knock the linesman unconscious before leaving the ice. Following the on-ice insanity, Boston PD made their best efforts to enter the Canadiens locker-room and arrest Richard for his actions, yet were unsuccessful as the Rocket’s team-mates continually blocked their path, eventually forcing the officers to abandon their efforts following some persuasion by Bruins management to leave the situation alone and to allow the NHL to handle the matter. As outlandish as the incident was, it wasn’t even the most memorable part of the story, especially considering it all happened in Boston, yet it was the events which followed that nearly immediately immortalized the Canadiens right-winger into hallowed halls of the Forum. Given the severity of the incident and the nature of Richard’s actions, NHL President Clarence Campbell had no other choice but to suspend Richard for the remainder of the regular season and all playoff games, virtually destroying what many Montreal fans considered to be their only true hope at winning a Stanley Cup. With the collective blood pressure of the city spiking through the roof, it should surprise no one that on the night following Campbell’s suspension of Richard and ensuing statement, St. Patrick’s Day no less, he rather boldly decided to show up at the Forum for the game between the Detroit Red Wings and the Montreal Canadiens. In a move that Montreal Mayor, Jean Drapeau, deemed as “inciting,” Campbell’s mere presence at the game eventually triggered the more than15,000 fans to break out into a riot that forced the cancellation and forfeiture of the game(the Red Wings won 4-1) and the streets of downtown Montreal into utter chaos. The riot lasted until 3 in the morning and caused an estimated total of $100,000 worth of damage to the city. Despite the fact the Rocket himself was also present at the game, it was the mere sight of Clarence Campbell which stirred the crowd into its frenzied state. Mayor Drapeau wasn’t necessarily wrong in his description of Campbell’s actions, as practically upon arrival the fans began to pelt him with objects. His presence agitated an already frustrated population and provided them with a tipping point as Canadiens fans ultimately released their frustrations on their own city, a trend that has seemingly continued to this day. It was an astounding scene, one that made National headlines. It was also the first riot of its kind. One inspired out of the madness perhaps, but also out of this city’s passionate love for their historic hockey club. Maurice Richard was inducted into the Hall of Fame in 1961 and remained a fixture of the Montreal Canadiens organization for years, yet was not fully recognized for his contributions to his city and team until the Habs moved from the Forum to the Bell Centre in 1996. It was only during those closing ceremonies at the Montreal Forum when the Rocket’s energy was finally, truly cemented into the heart of that fabled steel structure that sits on the corner of Atwater and Ste.Catherine street in Montreal. 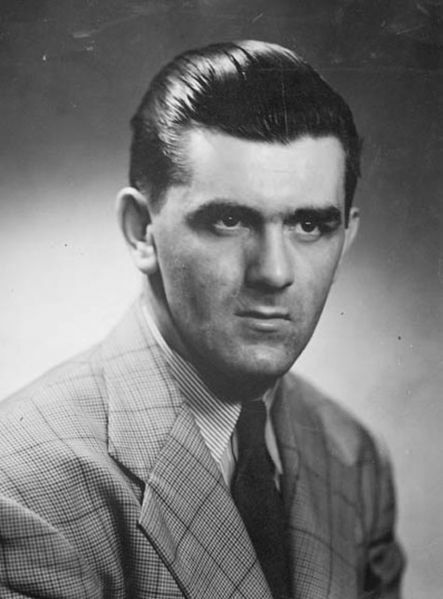 In recognition of all the historical moments and memories that had transpired under the roof of the Forum many of the Canadiens great legends took part in the ‘Passing the Torch’ ceremony, but none of the formalities mattered as much as compared to when Maurice Richard finally received his long-awaited standing ovation. It was an ear-shattering, knee-shaking 11 minute ovation that made sure to immortalize the icon’s legendary status forever. An emotionally charged moment in the Forum’s great history that may go down as the pinnacle of the fans passion and love for the team, its heroes and the legendary rink they called home. The Rocket passed away on May 27, 2000, and, in what may very well have been his last act of “Passing the Torch,” was mourned and honoured by over 115,000 at the Bell Centre, followed by a state-funeral, the first in Quebec’s history for an athlete. It may seem like an antiquated notion, conjuring up “The Ghosts of the Forum,” yet there is one thing that cannot be denied, with over 100 years of history, there may be more legend and mystery behind the CH than more care to admit. With an eye on the next 100 years, it just might be a good idea to remind the Habs faithful to continue paying homage in order to keep those ghosts alive.